“Do whatever it takes, regardless of the jurisdiction of the MLIT.” Under the strong leadership of the Minister of Land, Infrastructure, Transport and Tourism, procurement of relief supplies had been undertaken by the Regional Bureau staff on behalf of the affected municipalities based on their needs, until full-scale communication system was restored in the affected areas. 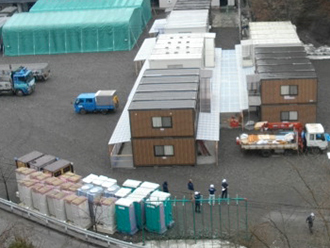 Relief supplies sent: temporary housing, portable toilets, fuels (diesel oil, kerosene, gasoline, etc. 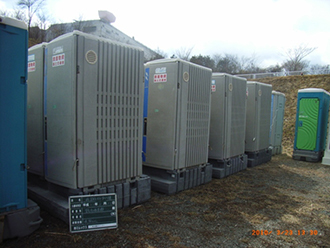 ), machinery such as backhoes, daily necessities (diapers, futon, etc. ), food (powder milk, canned food, etc. ), etc. A letter from the Tohoku Regional Bureau chief was handed over to the leaders of the affected municipalities by dispatched liaisons (on-site coordinator for disaster response). “Consider me a dealer of black market, and tell us anything you need”, said the letter. Although the “willingness to extend any kind of support even beyond the jurisdiction of the MLIT” was expressed in the previous message, most of the municipal leaders were hesitant about asking what was offered. That was why the message was so phrased, in an expression rarely used in official letters, to let the municipality leaders know that the message was indeed what it meant. After this message, many municipality leaders indeed started contacting the Bureau for a variety of requests. The exceptional procurement began. 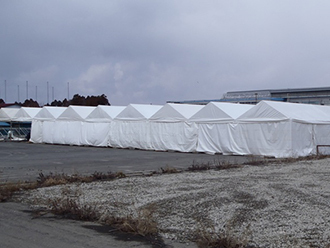 Things ranging from temporary housing, portable toilets, fuels, etc. to sanitary items and coffins were procured. I guess you have been busy with restoration works. Though I said in my letter to you yesterday, I would repeat. Tell us anything you need, even if it is beyond the jurisdiction of the MLIT. Here is what happened yesterday. This is a conversation with a mayor. I said, “We can deliver even coffins“. “Really? That’s amazing, if you can do that”, said a mayor. We actually called various people, and purchased coffins directly or made arrangement with coffin owners. I guess you still think, “It must be impossible, because they are a member of the Regional Bureau under the MLIT”, but this is misconception. 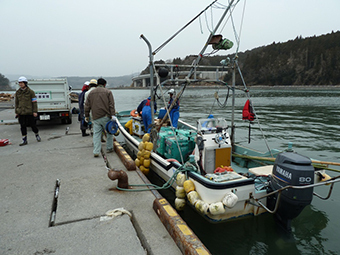 We have been told by Ohata, the Minister of Land, Infrastructure, Transport and Tourism, “Work as a representative of the Japanese Government, regardless of the jurisdiction of the MLIT”. So, tell us anything you need. Take the word as it is. Consider me a “dealer of black market”, not a “Bureau chief”. We are willing to extend our help anytime. The space of the Bureau’s website was made available for the affected municipalities which lost a means of communication. Disaster-stricken municipalities lost a means of effective communication. They must be having a hard time due to shortage of necessary goods - the MLIT Tohoku Regional Bureau made a “Temporary Bulletin Board for the Affected Municipalities“ on the Bureau’s website, until a full-scale communication means was restored in the municipalities. The bulletin was used by 20 municipalities as a space to make necessary announcements, for example, about their needs for relief supplies, etc. 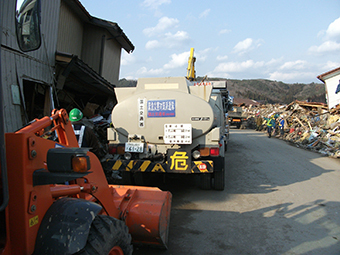 Urgent needs announced on this bulletin brought about the flow of relief supplies from all over Japan. 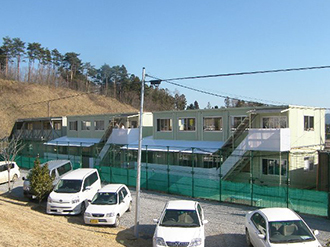 The Soka Town Association happened to notice that there was a need of school supplies such as satchels in Otsuchi. The Association resolved to contribute 1,085,000 yen for purchasing satchels for kids in Otsuchi.